Please join us for a poetry reading by Frank Bidart on Tuesday, November 27th, 4 pm. This event is co-Sponsored by the Yale Collection of American Literature Reading Series and the Department of English; the reading is free and open to the public. The poet will be introduced by Yale graduate student Erica Levy McAlpine. For additional information about readings at Beinecke Library visit: 2007-2008 Readings at Beinecke Library. 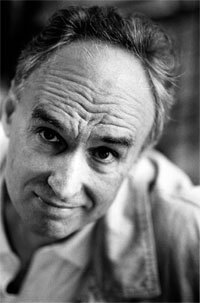 Frank Bidart is the winner of the 2007 Bollingen Prize for poetry. He is the author of numerous books of poetry, including In the Western Night: Collected Poems, 1965-90, Desire, Star Dust, and Music Like Dirt. He has received the Wallace Stevens Award, the Theodore Roethke Memorial Poetry Prize, and the Bobbitt Prize for Poetry. He has taught at Brandeis University and, since 1972, Wellesley College. In 2003 he was elected a Chancellor of the Academy of American Poets.